Yes, we’re still CrownTonka—now housed under our larger unified parent brand—Everidge. CrownTonka—as a walk-in manufacturer of cold storage solutions for c-store, retail grocery and warehouse applications— has simplified access to all of our premier brands. With all of our Everidge products, you can rely on our best-in-the –business customer service, and we’ll continue providing your high-quality, affordable, and customizable cold storage solutions. CrownTonka supplies solutions for all sizes of retail operations, because food and beverage storage comes in many forms. 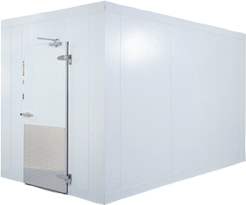 C-Stores, Retail Grocery or Warehousing – a CrownTonka walk-in cooler or freezer can be matched with the accessory items you need. CrownTonka makes it easy by offering you options including shelving, glass doors, refrigeration systems and complete install services – every step of the way. All CrownTonka walk-ins can be tailored to match existing store designs—with framing styles to suit anything from the beer cave to the dairy cooler. Learn more about the other products under the CrownTonka brand by clicking the links below.